Windows 10 is an operating system with a fair share of issues. There are, however, built-in solutions for many of these. For example, when there is an issue during booting, Windows resorts to the Automatic Repair wizard, which should fix the issue. But if that fails, the solution Windows offers is to Reset or Refresh the system. What happens when that fails too? You will get a message that says “There was a problem resetting your PC”, and no changes will be made to your system. 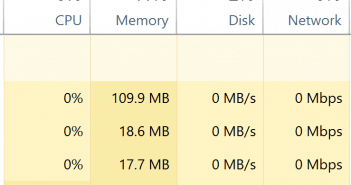 If your PC came preinstalled with Windows 10, and the manufacturer has enabled compression in order to reduce how much space a preinstalled application takes, this might be an issue. You will most likely stumble onto this error message if you used the “Create a recovery drive” feature in Windows 10, and chose to “Remove everything” from the recovery drive. The main causes for the issue are either a missing or unsupported version of your recovery image, or a software compatibility issue. Regardless of the cause, there are two possible solutions for this issue. Read on to see what you can do to solve it. The first thing to do is to use Microsoft’s built-in tools. More often than not, with a bit of know-how, you can use these to solve any issues with Windows. Let’s begin. From the Power button menu in the Start menu, hold Shift and choose Restart. 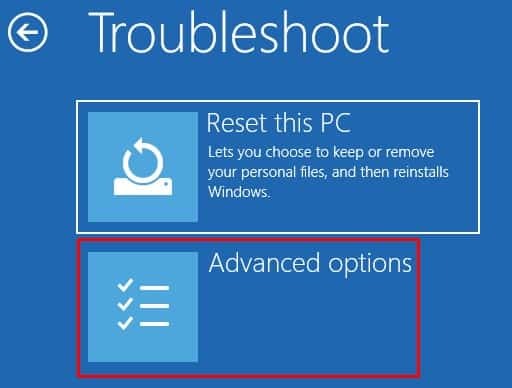 This will restart your computer, but instead of booting Windows, it will let you access the boot options menu, which has settings such as troubleshooting, resetting and recovery. Open the Troubleshoot menu. Within Advanced options, choose Command Prompt. 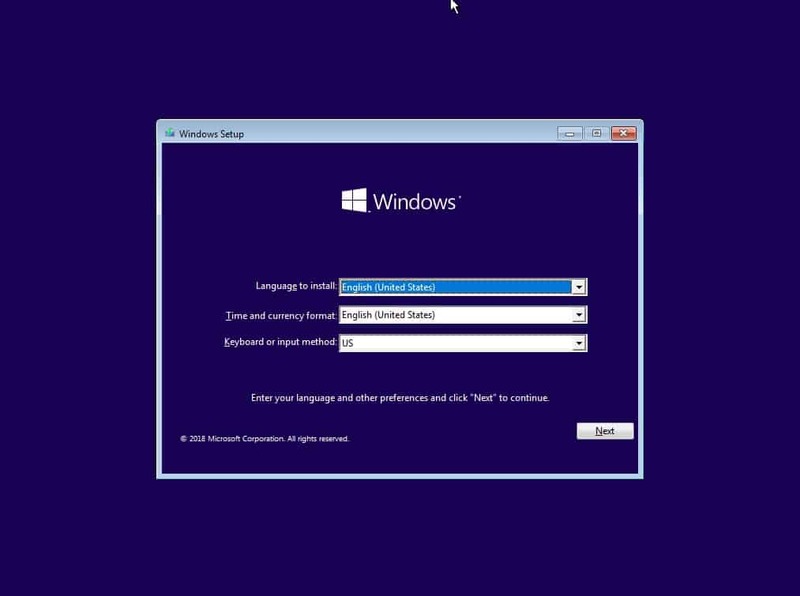 You need this specific Command Prompt – doing it from within Windows won’t cut it. 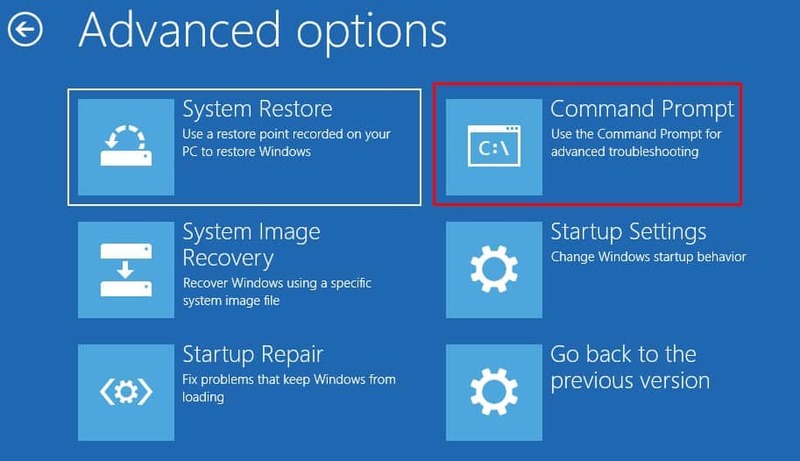 You need to modify system files, and seeing as those files are in use when Windows is running and therefore cannot be modified, you need a command prompt outside of Windows. If you’re prompted to choose an account, choose your administrator account and enter the password if you have one. Once this is done, just click Continue to proceed. You will see the Command Prompt open. Enter the following commands. Make sure that you press Enter after each command in order to execute them. The first command will change the directory to Windows’ system32 folder. The second and third will rename two files that are most likely the root of your issue. Once these files are renamed, Windows is forced to create new ones which will work and let you reset your PC. 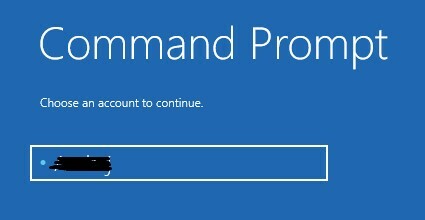 Once you’ve entered the commands, close the Command Prompt. 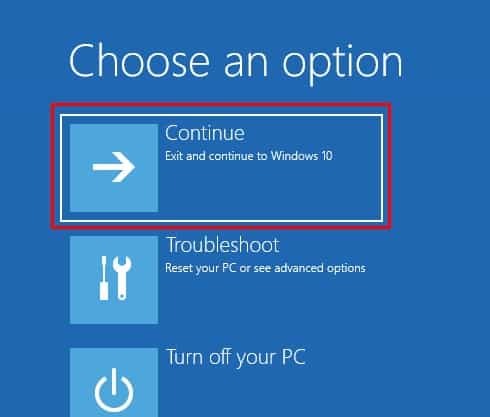 You’ll be back at the boot options, where you should select Continue, and Windows will boot. 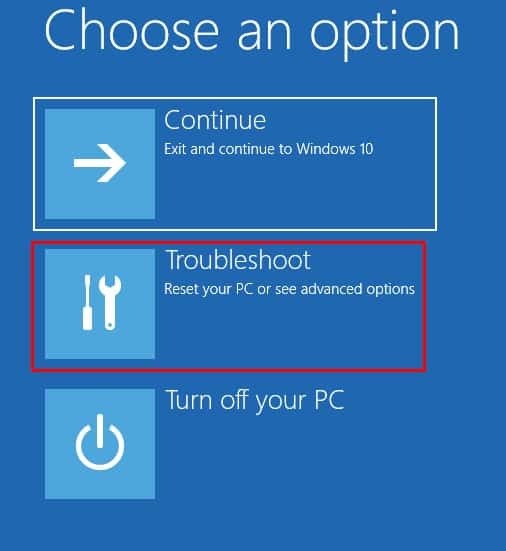 Once you’ve done all the steps above, you will be able to reset your PC. However, there’s a slim chance that this won’t work. If that does happen, and you still can’t reset your PC, reinstalling Windows with a recovery drive should fix the problem (see the next method). In case the previous method didn’t work, re-installing your OS partition will also do the trick. You will need a boot drive with Windows 10. You can use Microsoft’s Media Creation Tool for this, and it doesn’t make much of a difference if it’s a USB or DVD. Once you have that ready, insert it, and follow the steps below. Following steps 1 through 3 from the previous method to open the recovery options’ Command Prompt. Change the directory to the drive letter of your recovery drive with ‘cd’. For example, if your recovery drive is F:, the command would be ‘cd f:\’ . Type in ‘setup’ and hit Enter. 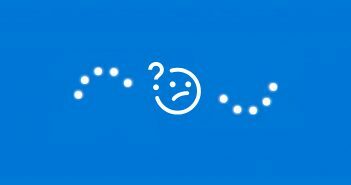 If everything is okay, you should have the Windows 10 setup up and running. You will have a choice of whether you want to keep your files and install on top, or wipe everything. Choose according to your needs, but know that you won’t be able to revert if you wipe everything. Finish the setup, and voila, you have a freshly reset Windows installation. This may not take long, butq it depends on your hardware, as well as the media you use for installation. i am getting a error after writing ren software software. 001 in cmd that it is being used by another process please help…. Good luck! I’ll be here for further help if needed.